If you’ve ever experienced this, then you know how uncomfortable it gets. 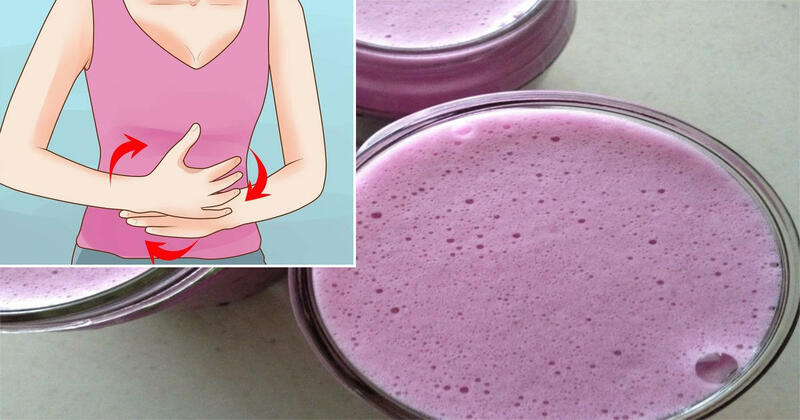 Your jeans start to feel tighter, you have excess gas and the constant rumbling around in your stomach. It happens, especially around the holidays. Just think about your last Thanksgiving dinner! 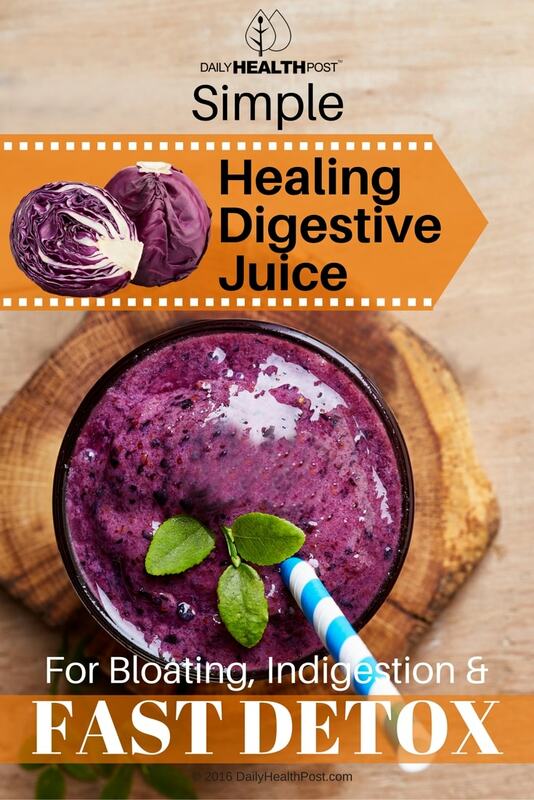 Whenever you’re feeling bloated and feel the need to calming your digestive tract and kickstart a quick detox, make the following purple cabbage juice. It will do wonders for your body. Wash and chop ingredients and then process them with a juice (alternative: Use a blender and then strain the liquid to drink). Purple cabbage: The high potassium in this veggie helps balance your body’s fluids. It’s also high in vitamin C and antioxidants, which protect your cells from toxins. Celery: This vegetable has been shown to prevent inflammatory reactions in the digestive tract and blood vessels. Lemon: The lemons help jumpstart your digestive tract, similar to when you drink warm lemon water in the morning.